I suspect he and his pals were on their way through town and stopped for a meal in the snow before making their way south. 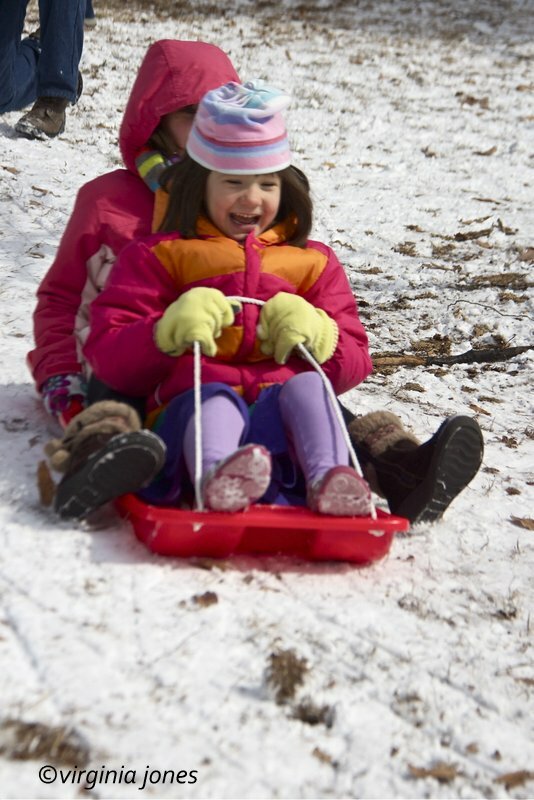 Despite temps well below freezing today, the kiddos in my neighborhood had fun at Triangle Park. Not much of a hill but if you get a big push from Dad, you would make it all the way down! Meanwhile our interstates and roads are still impossibly clogged with stalled/wrecked/abandoned cars and with the expectation of low temperatures again tonight, the refreezing will make it even more difficult. The good news is that many people have gotten home or at least to a warm place and most, but not all of the teachers and students that spent last night in their schools, have been able to go home. as I got to the grocery store and back home in record time and spent the rest of the day taking periodic trips outside for photos. I spied this fat cardinal and stalked him for as long as he'd let me. 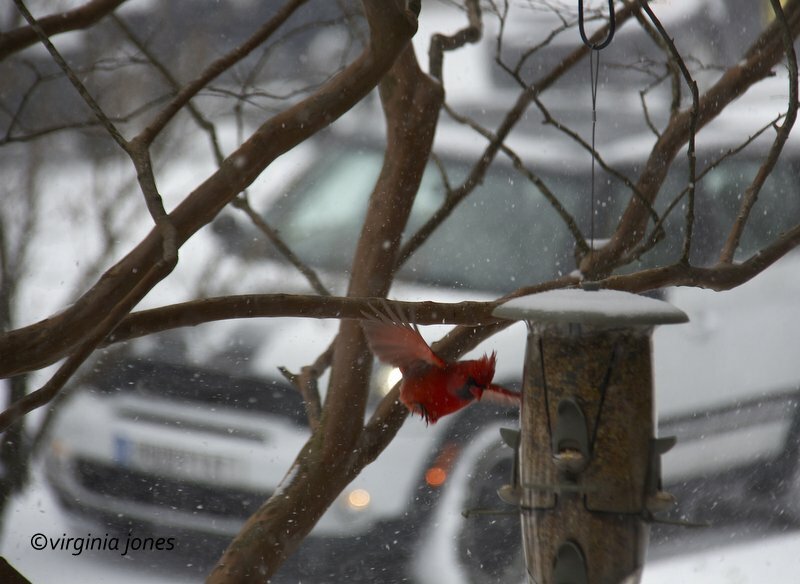 I got several shots but this one of his approach to the bird feeder was my favorite. Breaking News....Aliens Invade the Birmingham Museum of Art !!! 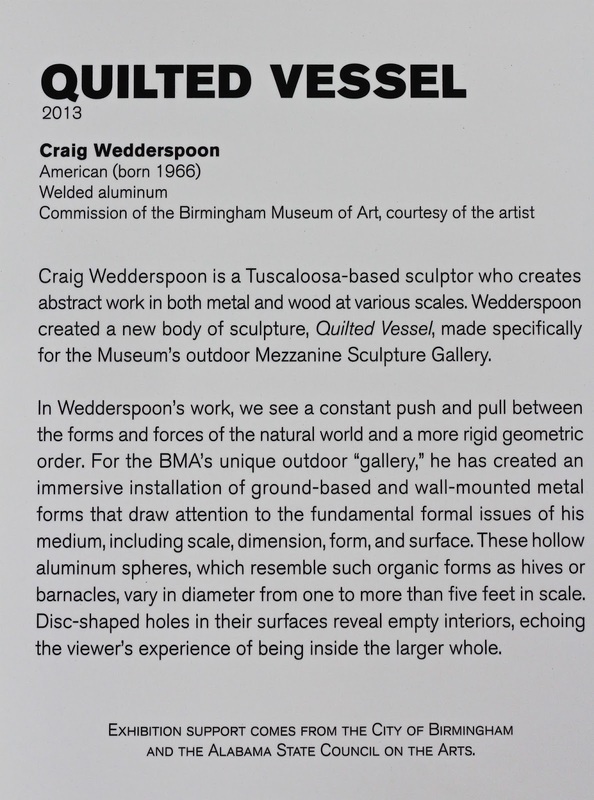 The new Craig Wedderspoon installation in the museum's outdoor Mezzanine Sculpture Gallery is great fun. 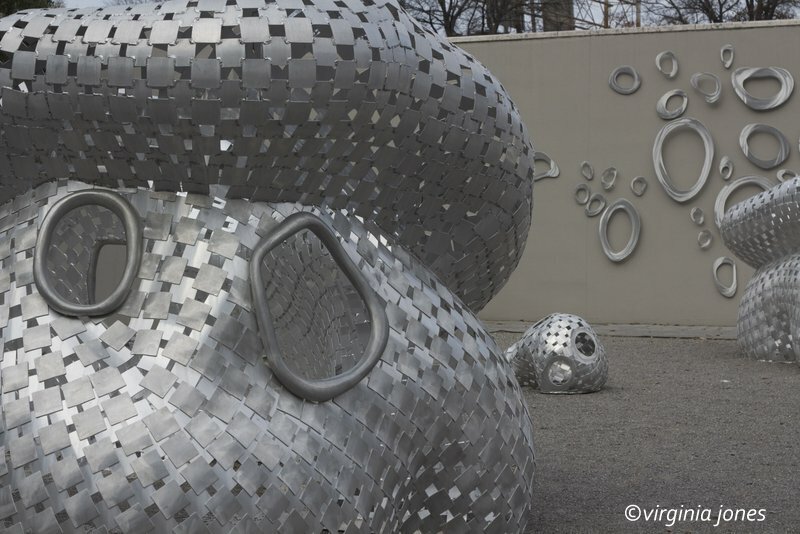 Scattered all around are his amazing undulating welded aluminum pieces. I dare you to have a look and not smile. You will have to come back tomorrow to see more! Yesterday I was able to spend a few minutes at the Boutwell Auditorium for the Chinese New Year celebration. 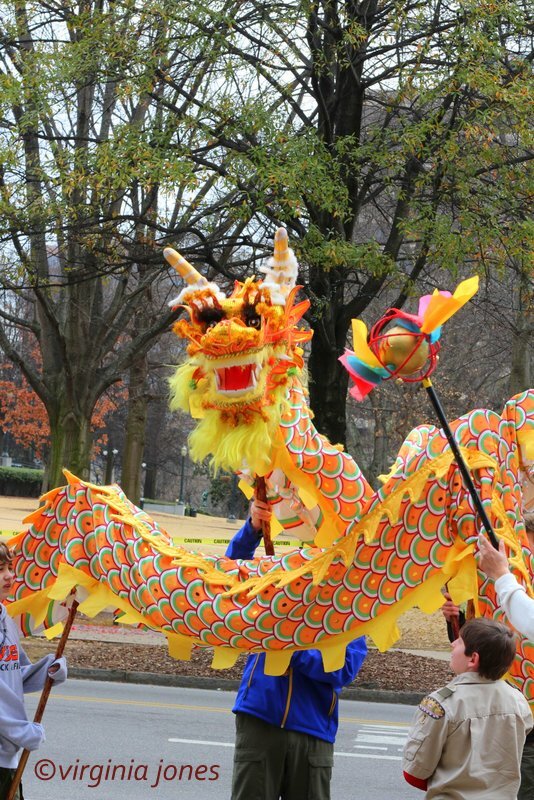 The dragon is always a crowd pleaser! I was sorry I couldn't be there for the wonderful music and dance presentations throughout the day. This is no ordinary barn, actually I think it's just a storage area painted this fine red at Christopher Glenn in Homewood. They specialize in antiques, lamps and accessories inside, and outside a beautiful selection of planters, statuary and fountains for your garden. Back in 2011, I was wandering around the Pepper Place Market and spotted this pretty girl with the bright sunny parasol and hat to match. Fast forward to the Magic City Art Connection the next year where we recognized each other and started a wonderful friendship. Meet Laura Kate Whitney, fabulous mom to two adorable boys, community activist, blogger ( Magic City Made) and now working tirelessly for Avondale Elementary School and Revive Birmingham. Fast forward to Revive Birmingham's Woodlawn street party last fall where I snapped her again. Watch out for Laura Kate Whitney Birmingham, she's a mover and a shaker and we are so lucky to have her! Yesterday, I had the privilege of visiting Shades Cahaba Elementary. Not only did my girls and I attend school there, but I taught third grade for 19 years. I was invited by my friend and fellow teacher Delaine Ragland to come and speak to her class about what it was like growing up in Birmingham during the Civil Rights Movement here in Birmingham. Delaine found my comments on Kids in Birmingham 1963, which is a wonderful resource for teachers and students as well. We had a wonderful time together and her students were a terrific audience and asked some excellent questions. I'm looking forward to visiting their classroom again at the culmination of their study to see them present what they learned. I love featuring the businesses in my city that have been here for decades. Well Treadwell's goes back 50 years in Mountain Brook. Thankfully, they are still in business. We've asked him to leave, but he's still hanging around. I fell in love with the Florentine Building when I first got serious about photography. I knew it was a fabulous old treasure and heard that it was due a facelift. Well five years later..........it's happening! This week it was announced that this beautiful building, built in the 1920's, is going to be renovated. Read all about it right here. I"ll keep you posted on the progress. Last November, I was lucky enough to return to Paris to gather more photos for my blog, Paris Through My Lens. I took along a traveling companion who is my Meeps' look alike and namesake. La Petite Meeps went along in my tote. I photographed her all along the journey and while in Paris for an upcoming presentation for young French students. She started trip with me in the newly expanded Birmingham/Shuttlesworth concourse. 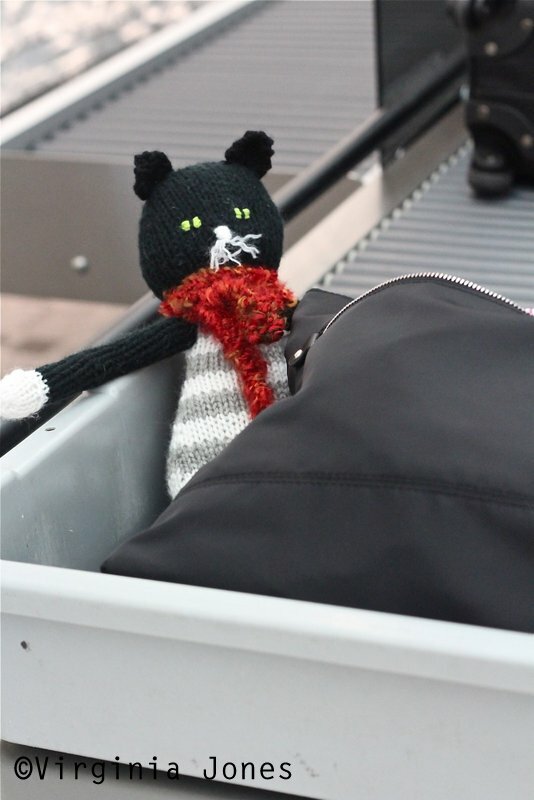 I asked security guards about photos as we went through TSA and they said that would be fine. To my surprise the agent let me put her in the bucket and take several photos. The nice gentleman behind me assured me I was not taking too much time and even helped. For more of Meeps' adventures in Paris, check my blog! Jim Reed calls his shop on Third Avenue downtown, Jim Reed Books / Museum of Fond Memories. I will admit that this extensive collection of memorabilia is for a photographer, the ultimate photo op, but his stash of old books, which line the walls and engulf an entire room, are pretty impressive as well. I have to watch my visits, as I'm already starting to resemble his collection of books right here at home! The Linn-Henley Library was once the Birmingham Public Library and I spent many an evening there doing research for term papers ( meeting high school friends). Since 1984, when a more contemporary library was built on 21st Street, it has been designated as a research facility. Thankfully Birmingham still has this beautiful place that has been so beautifully restored. 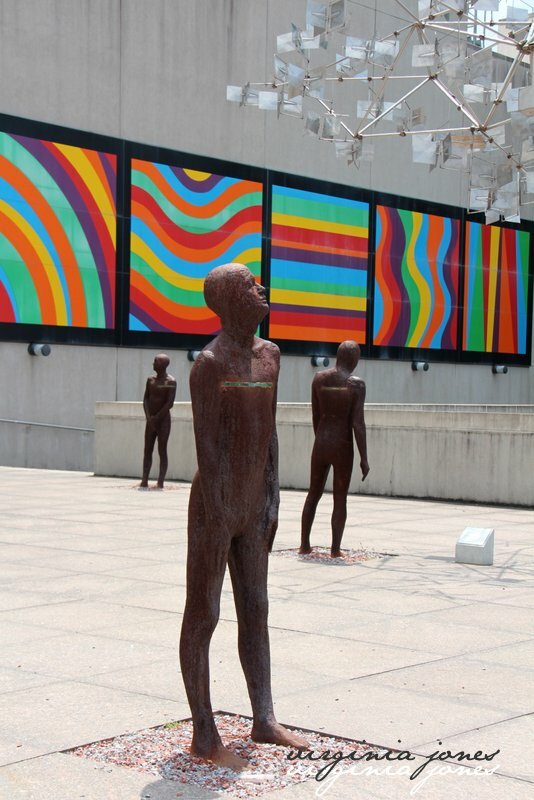 I think this is one of my favorite installations in the Sculpture Garden at the Birmingham Museum of Art. 12 of Icelandic artist Steinunn Thórarirnsdóttir's live size iron figures stand throughout the space. Read all about his marvelous sculpture. The eerie glow of WBRC's enormous neon sign on a foggy night on Red Mountain was a parking lot catch! My multi talented friend, artist Kevin Irwin, has the most fabulous studio. Everywhere you turn you find more of her delightful creations. Be it glass, pottery, jewelry or paintings, she does it all and WELL! This is one of my favorite waiters at Chez Fonfon in Five Points South. He's worked there for a long time, and is always so kind to let me snap his photo! Do you know these hands? Any guesses? Our temps have been in single digits here this week, so I'm pretty sure V. Richard's has not had many patrons choosing to sit outside on these lovely (but cold) chairs! 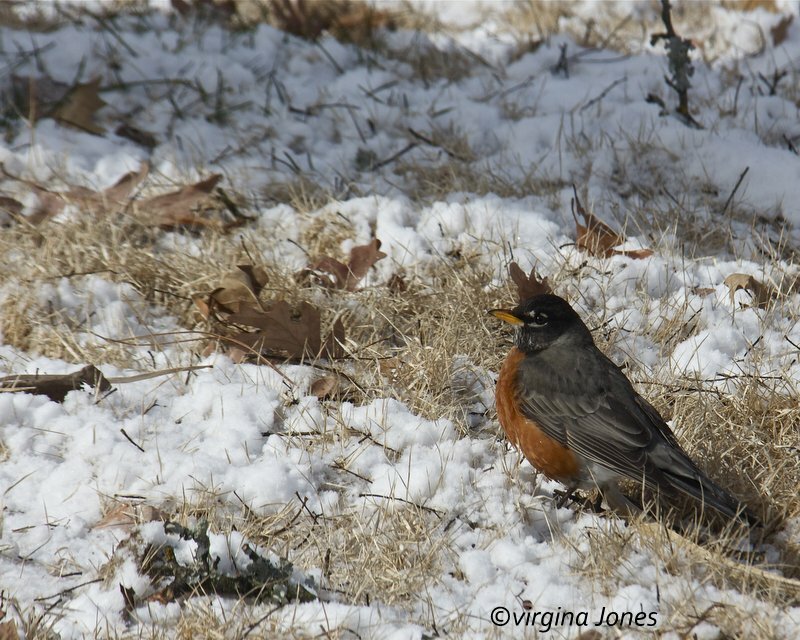 It's not snowing this much in Birmingham today, but it's one of the coldest winter days we've seen in a few years! I found this photo from one of our freaky one day snowfalls a few years ago and decided to share. The beautiful Highlands United Methodist Church in Five Points South. This church was probably the first church I posted way back in 2008. These beautiful doors grace this mausoleum in Birmingham's oldest cemetery, historic Oak Hill. The Barber Motorsports Museum is one of Birmingham's star attractions. It displays over 1200 vintage motorcycles and race cars! It defies description. 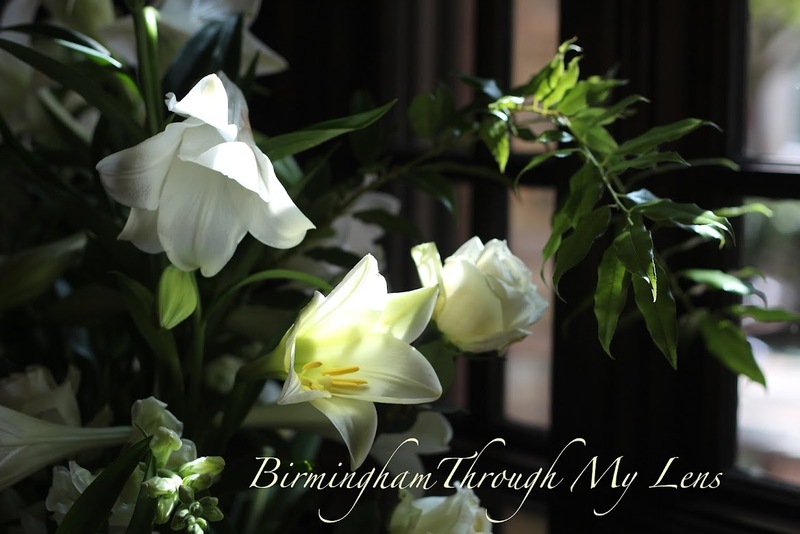 If you are visiting Birmingham it is a MUST SEE! 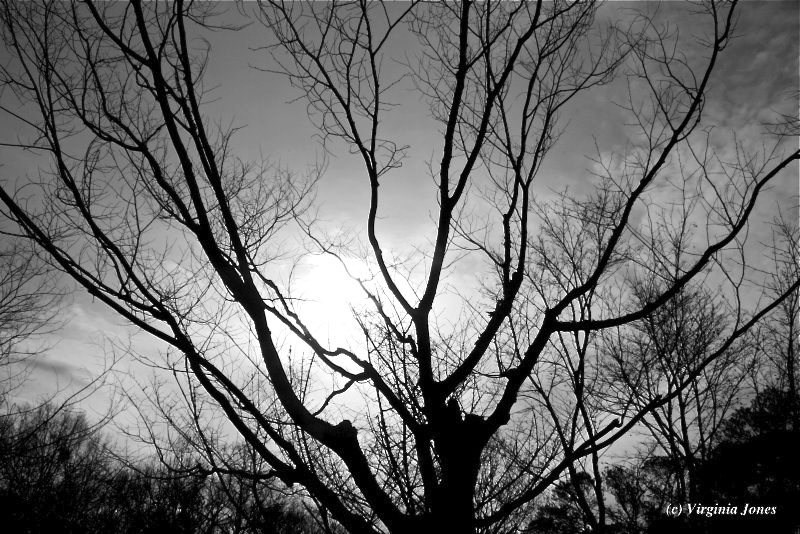 Today, the first day of January, 2014 the CDP bloggers around the world have chosen the photograph that they feel is the best of 2013. My choice was easy this year. 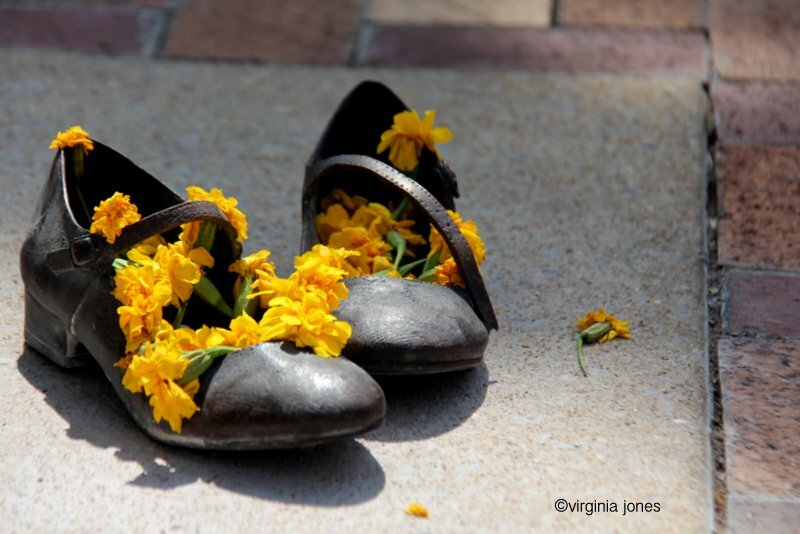 Today I repost Addie Mae's Shoes , part of the beautiful sculpture The Four Spirits by Birmingham native Elizabeth Macqueen. 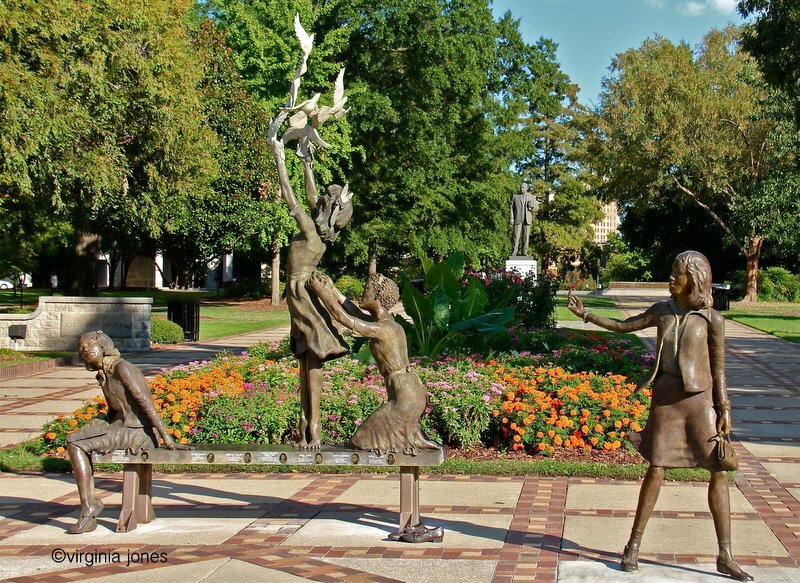 The work was unveiled in September during commemorative events marking the 50 year anniversary of the 16th Street Baptist Church bombing that killed for dear little girls. Macqueen's beautiful sculpture stands at the corner of Kelly Ingram Park, across the street from the church. 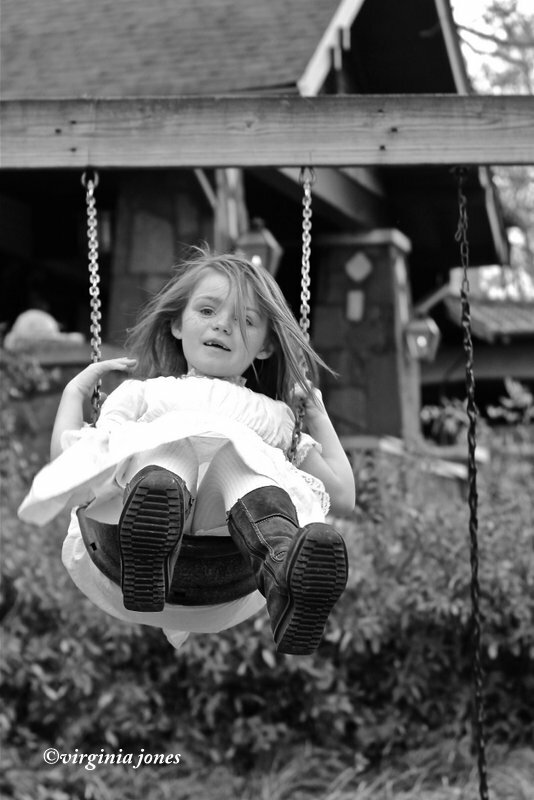 Please click HERE to see the images that my fellow CDP blog friends have chosen as their favorites for 2013.